What do you get when you bring together 50 university student leaders from around the world, experts from the Clinton Foundation and IBM, and winners from Call for Code university hackathons? We found out the answer this past weekend: Innovative solutions to improve natural disaster response and recovery. The Clinton Foundation — specifically the Clinton Global Initiative University, the CGI Action Network on Post-Disaster Recovery and the Clinton Climate Initiative — collaborated with IBM and Call for Code on its annual codeathon, held October 18-19 at the University of Chicago. 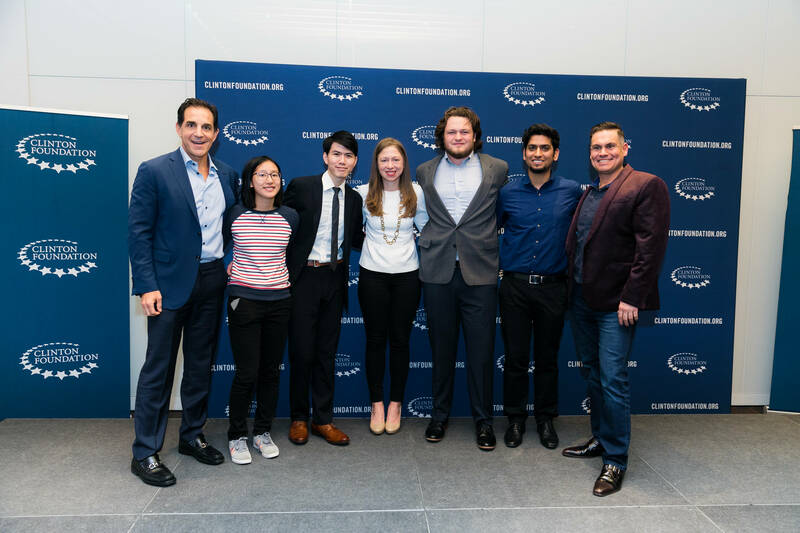 University students worked in teams and pitched their projects to a panel of expert judges, which included Chelsea Clinton, vice chair of the Clinton Foundation, and Bob Lord, Chief Digital Officer at IBM. IBM, in collaboration with the David Clark Cause, launched Call for Code in May. The worldwide, multi-year initiative inspires developers to solve pressing global problems with sustainable software solutions. 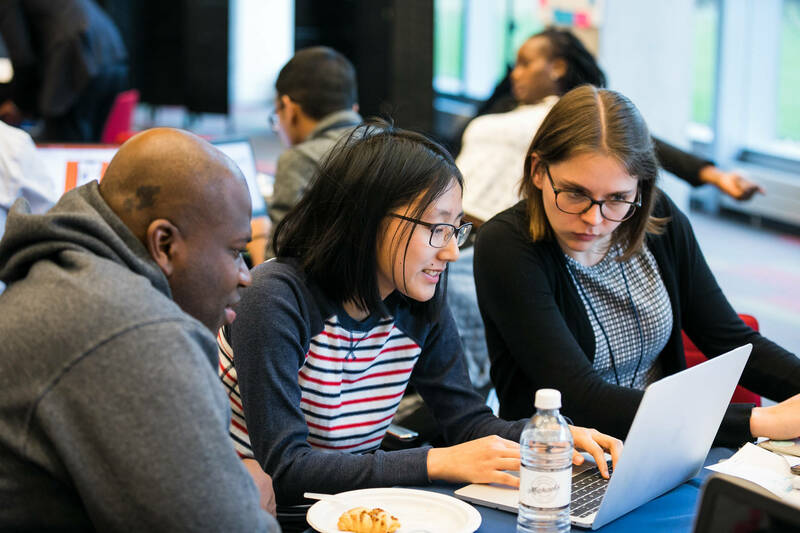 At the Clinton Foundation Codeathon, IBM leaders shared their expertise and learnings from more than 300 Call for Code events with the students. Winners from Call for Code hackathons at top universities (image below) participated on student teams, helping to guide and coach their peers. Project BAO, a platform that uses social media, AI and crowdsourced data to coordinate relief efforts, was the winning student solution. Runners up included Project Godmother, an AirBnb-inspired home sharing app to help displaced families and Project Subfix, a funding platform to assist small businesses in rebuilding their communities. “I feel really privileged to be invited here by IBM and appreciate the efforts they are taking with Call for Code as a yearly event that tries to bring all the developers across the world to work for a good cause,” said Handa, a member of Project Subfix and a SU graduate student. Although the deadline has passed for submissions for the 2018 Call for Code challenge, students from the Clinton Foundation Codeathon are encouraged to continue to work on their ideas and participate in the global challenge next year. Many more great ideas could be coming from the students, if Mudse is any indication. Li, center, works with team members on their project for the Clinton Foundation Codeathon, using the skills she learned from her previous experience with Call for Code.